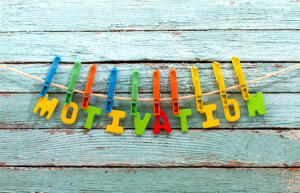 Sometimes don’t we just feel more motivated than other times? Interest in work, school, home projects and more tend to ebb and flow, depending on other things we have going on in our lives. There are some key things we can do — all year long — to help our kids, and ourselves, keep motivation high and maximize our happiness and productivity. JANUARY: Jump into something new. Seldom is motivation as high as when we’ve just joined a new club or started a new project. Helping kids find a new interest can even make old interests come alive again. FEBRUARY: Free your mind. Be open to the possibilities that you encounter every day and encourage kids to do the same. MARCH: Mean it. Be genuine with people about your needs and your capabilities. Be consistent and follow through with commitments. APRIL: Assign new tasks. If you’ve been having kids do the same list of chores for years, work out a system where tasks are rotated in order to keep them fresh. MAY: Mix it up. Change things up in other ways too. Rearrange the furniture. Have kids help paint their bedroom. Look for areas that could use a fresh look. It stimulates our brains more than we realize! JUNE: Juggle your schedule effectively. It’s very unmotivating to feel overwhelmed and surrounded by chaos. Help your kid to make manageable commitments and stay organized. JULY: Join a community service project. Helping others is a great motivator and helps us gain valuable perspective. The empathy that kids develop in the early years will shape them as adults. Volunteer opportunities are all around us. AUGUST: Award positive changes. If your kids have struggled with grades, organization or just remembering their homework, recognize them when you see improvement. Positive reinforcement is an incredible motivator. SEPTEMBER: Share control. Let kids have some choice and voice in some of the decisions made around your household. It’s good training for later in life when they’re making decisions on their own! OCTOBER: Oust negative thoughts. Focus on the positive rather than what’s difficult. See challenges as ways to grow rather than roadblocks. NOVEMBER: Note what works. From study skills to housework to discipline, keep track of the strategies that work for your kids and your family and put them to good use in the future. DECEMBER: Decide what’s next. Set goals for school, work and home. Look forward and plan for the bright future that’s ahead!